Denim is a rugged cotton twill textile, in which the weft passes under two or more warp fibres, producing the familiar diagonal ribbing identifiable on the reverse of the fabric. In denims, garment washing is done to produce effects like color fading with or without patchiness, crinkles, seam puckering, hairiness, de-pilling, softened-hand feel, stabilized dimensions etc. 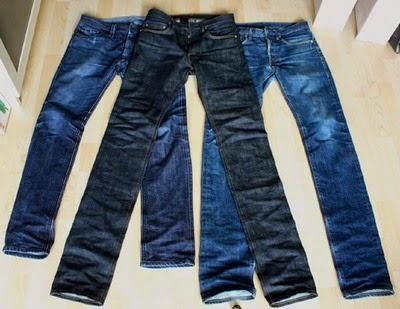 Denim washing is the aesthetic finish given to the denim fabric to enhance the appeal and to provide strength. This creates what many feel to be a more natural, unique look than pre-distressed denim.